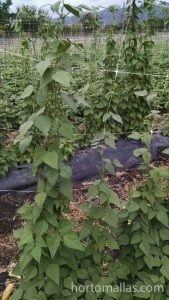 Trellising is necessary when farming for peas, as this crop has better yields on vertical vegetable support, most commonly called pea net. 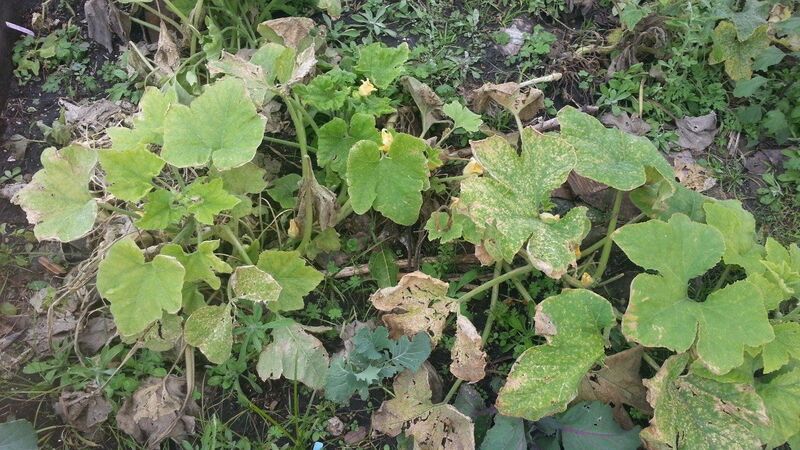 Growing peas on a net improves air flow and solar incidence and photosynthetic conversion, which then converts into better phytosanitary pea and sweet peas crops, as the plant grown on pea netting is healthier, it becomes more resistant to pathogens therefore less chemicals need to be applied and turn this crop into a higher paid market price! 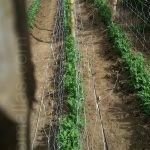 Trellis netting for peas (sweet and snow peas) make sure your plant stays away from the humidity present in soils, humidity that will enhance the propagation of fungal diseases. HORTOMALLAS gives the right growing tool to the horticulturalist looking for ways to verticalize crops for yield and quality. 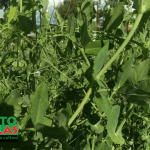 Training peas on HORTOMALLAS netting improves pollination and at the same time increases plant density, therefore increasing the overall crop yield, as using trellis netting will produce a higher number of plants per row, which means this investment in pea net was the best ROI ever, as it pays for itself in increase in yields of the first harvest alone! 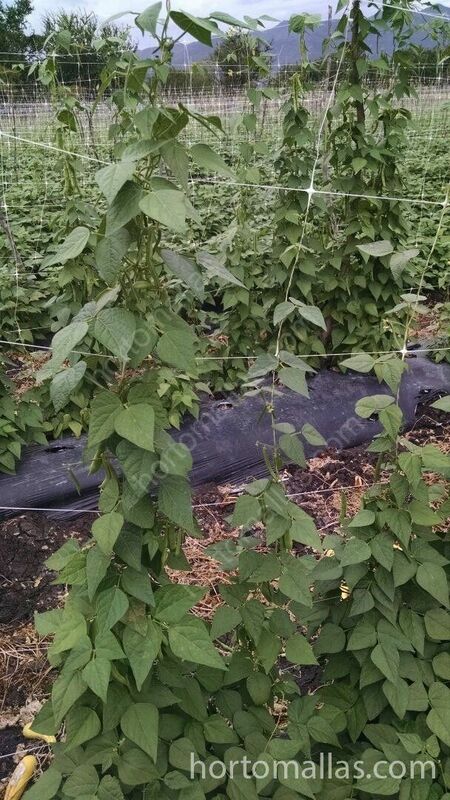 HORTOMALLAS may be reused several times, so the cost in this netting can be amortized over many crops making sure the proper disinfection protocols are followed in order not to bring diseases unto the new crop. Unlike raffia twine that due to its twisted structure can allow pathogens to take shelter during chemical spraying therefore reducing the effectiveness of the application of chemicals, HORTOMALLAS smooth monofilament structure will not protect and bacterias or insects or viruses, so re-using it crop after crop will guarantee great agronomic results. A little History… for laughs! 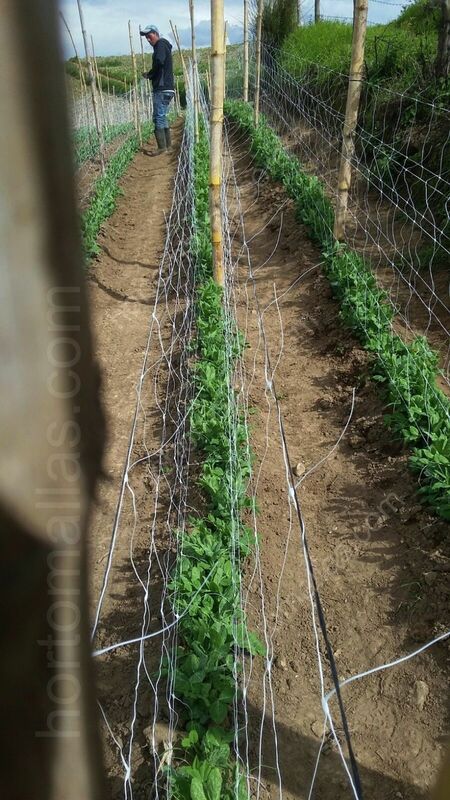 In the cultivation of peas you can tutoring with trellis net to double row.